There has been entertainment, even before TV, Movies, and of-course the Internet Burst. But, in today’s era does anybody have any idea of, how the entertainment in the past was like ? Once a upon time in the past, “Flash Mob” was the term used for the performances made for the purposes of entertainment, satire, and artistic expressions, for the recreation of folks. One would get to experience live entertainment in the traditionally artistic form exhibiting the culture of a place. 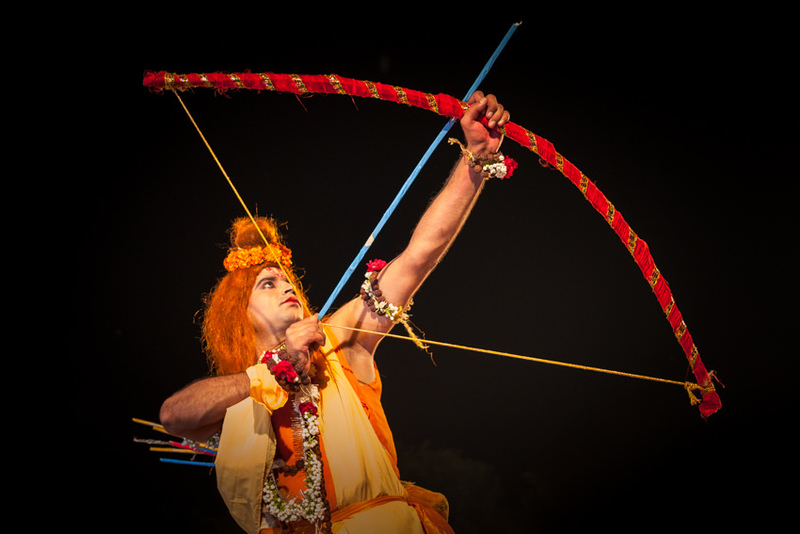 The practice of this theatrical entertainment has be kept alive and can be witnessed in parts of Northern India in form of dramatic folk re-enactments of the life of Lord Rama which is known as the “Ramlila”. “Ramlila”, is the term used as the dramatic representation of the entire life of Lord Rama (7th incarnation of Lord Vishnu ). 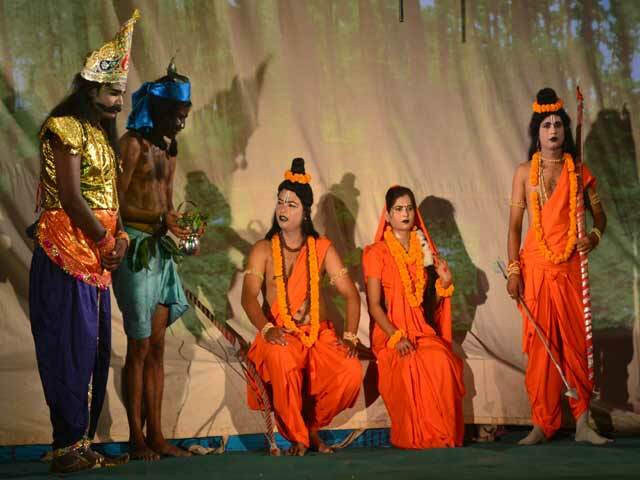 The street play showcases entire life of Lord Rama from young age till the battle fought between the Lord and Ravana. The glorious and cultural staging of the Ramlila fair is held at a very large scale at Ramnagar, Varanasi, located on the banks of river Ganges. For a period of 30 days the entire city comes alive. Started in the year 1830 by the King of Kashi(Varanasi), today the Ramlila Fair draws huge crowds from areas nearby, the entire country and beyond borders as well. 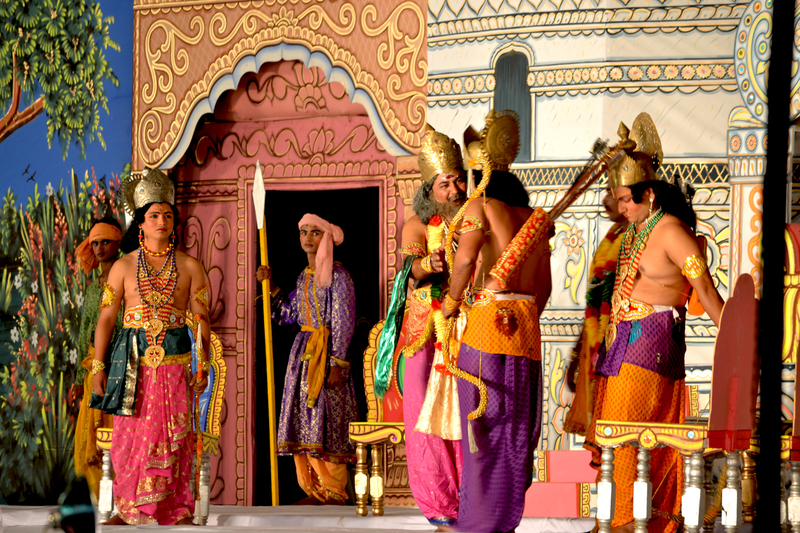 The Ramlila play is famous for its flaunting sets, addictive conversations and illustrious display. The entire city of Ramnagar becomes a stage, dramatizing scenes from the Ramayana(religious epic that narrates the life of Rama), showcasing the life of Lord Rama, his marriage with Sita, Lord Hanuman and his mischievousness, scenes from Ashok Vatika (the garden in Lanka where Sita was held captive by Ravana), and the demon Ravana. 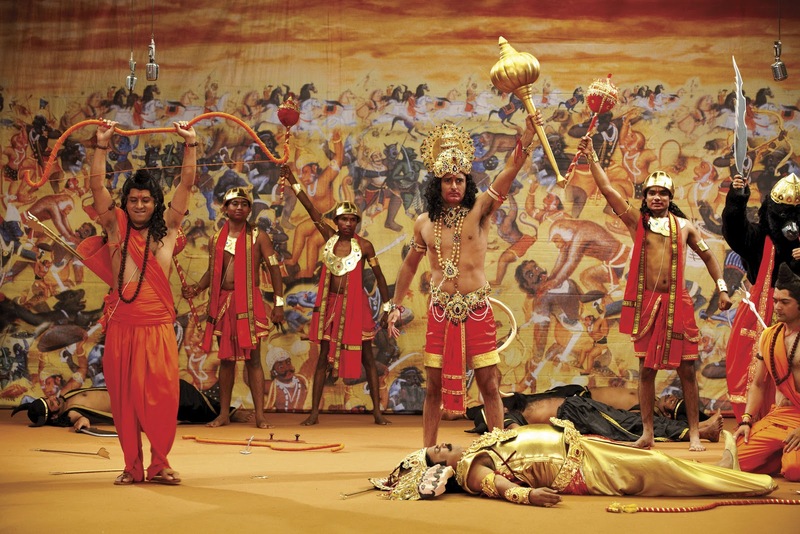 The respective roles of Lord Rama and his wife Sita, his brother Lord Laxman, Lord Hanuman, demon king Ravana and his brothers Kumbahkaran and Meghnath are performed by local actors. 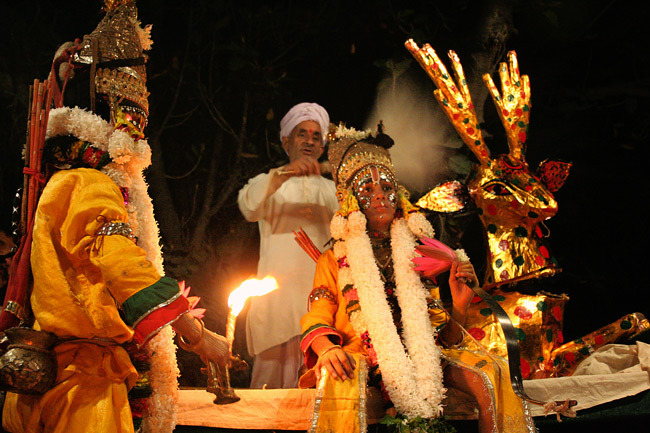 Each day the play ends with the Aarti ceremony, executed by the priest with the enthralling chants and mantras. On the last day of the play, over a million pilgrims visit the grounds of Ramnagar to see how Lord Rama conquers over the demon king Ravana and burns him into ashes. The celebrations of Dussehra begin with the parade of the Kashi Naresh(King of Kashi) who rides on an ornamented elephant. Hundreds of the priests enchant the mantras from the Ramcharitmanas(a book written on the deeds of Lord Rama). The day is celebrated as Dusshera festival all over the country with extreme fervor and enthusiasm. 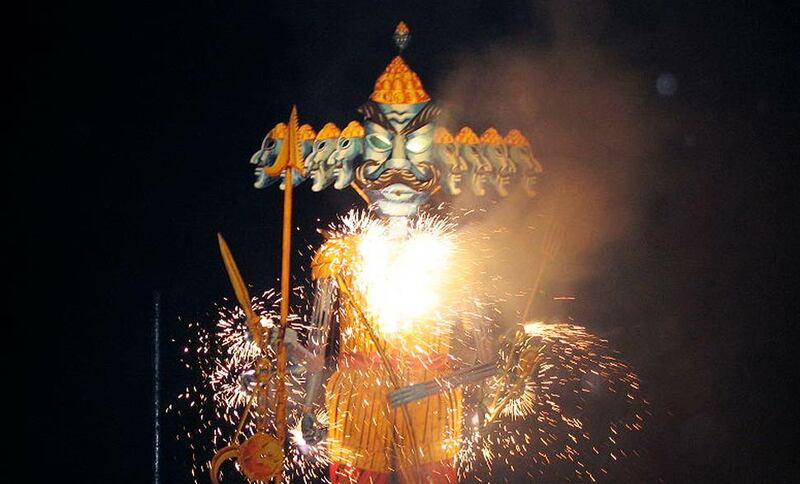 The festival marks victory of Good over Evil, demarcating the triumph of Lord Rama over Demon king Ravana. 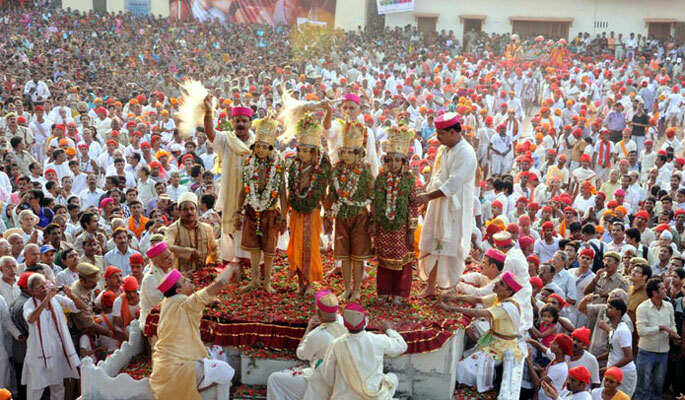 The celebrations end with the return of the Lord to back to his kingdom of Ayodhya. The atmosphere is festive and cheerful, with audiences whistling and cheering up the actors as the story proceeds.